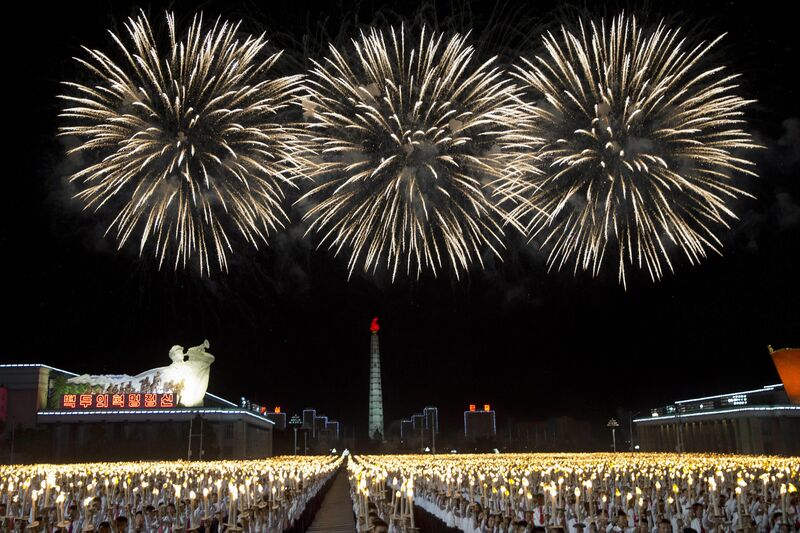 PYONGYANG: Tens of thousands of North Korean students rallied in Pyongyang's Kim Il Sung Square in the final major event of the country's 70th anniversary, an elaborate celebration that has showcased the nation's aspirations for economic growth and Korean unity. He followed that up with an announcement in April that he would stop nuclear tests and long-range missile launches and claimed that, having perfected his nuclear arsenal, he was ready to pursue talks with Washington on easing tensions on the Korean Peninsula. That, in turn, led to a flurry of summits with Beijing and Seoul and an unprecedented summit with President Donald Trump in Singapore three months ago. 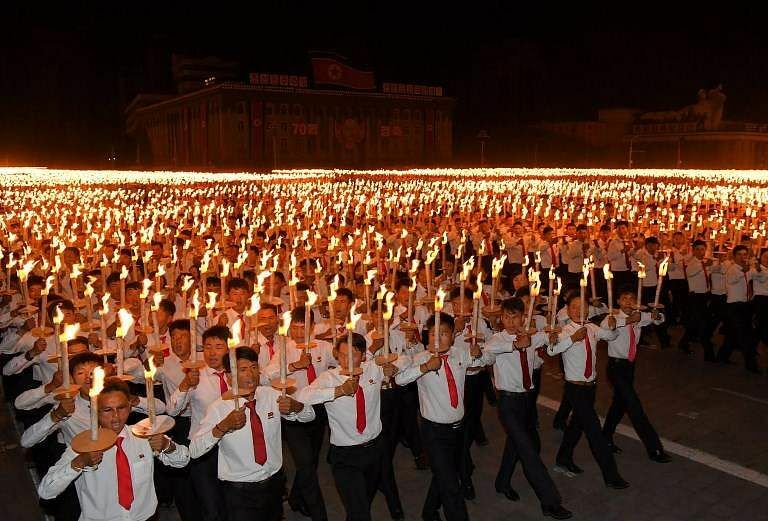 This September 10, 2018 picture released from North Korea's official Korean Central News Agency (KCNA) on September 11, 2018 shows participants marching during a torch parade at the Kim Il Sung square in Pyongyang to celebrate the country's 70th birthday. 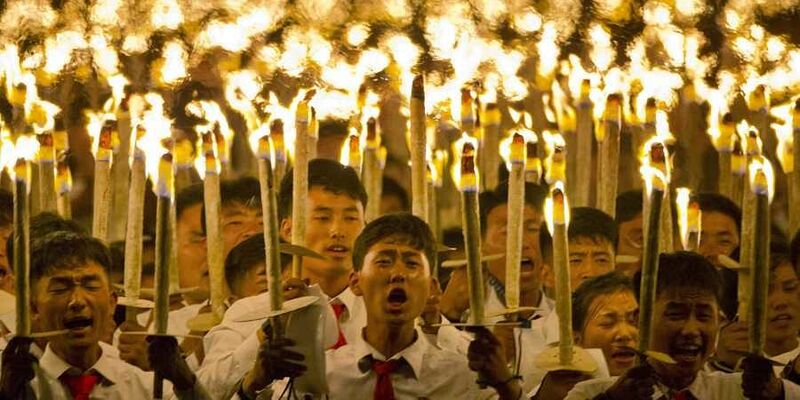 North Koreans cheer for a peace parade held by foreign delegates invited to the celebration of North Korea's 70 anniversary in Pyongyang, North Korea, Tuesday, Sept. 11, 2018.